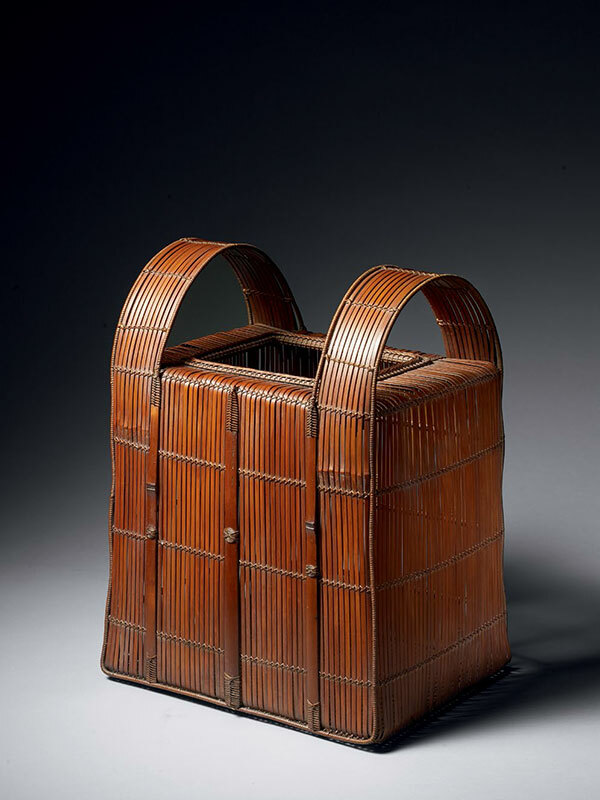 A woven bamboo ikebana basket of rectangular form, with two integral loop handles forming the sides. The basket tapers out slightly towards the base and is neatly woven with narrow strips of bamboo, joined by wrapped lengths of bamboo. An inserted bamboo panel on the base is engraved with the two-character signature of Rinsho.